Many Nigerians have thanked President Goodluck Jonathan after October 1st he agreed that Nigerians have to talk in a conference, otherwise called National Conference, and dialogue on ways to move the country forward. Others have as well, reviled him, for agreeing for the conference. The Federal Government had hence set up an advisory committee and gave it modules to follow. Senator Femi Okurounmu was to head the committee and Dr. Akilu Indabawa, as the Secretary of the committee. In a countrywide comment, while marking 53rd Independence anniversary of Nigeria, Mr. President's appointed committee, according to him, would propose a framework and recommend the form, structure and mechanism of the conference. It, however, behooves the people not allow the President steal their sovereignty in the conference, because the people are supposed to decide how and what they want at the conference, and not to discuss what the presidency wants to be discussed, with dictates of the modalities of the advisory committee. It's good that Jonathan had said: Our politics should be an art of patriotic labour and selfless service to the community, particularly by the political elite who are placed in positions of great trust and responsibility. Politics has its own high moral principles which abhor distracting and divisive rhetoric. Therefore, it cannot be taken as certainty, the comment by an opposition political party in Nigeria, that it would not take part in the proposed conference, because it sees dialogue as the constitutional amendment process. It had agreed that such was already ongoing. Conversely, the party purportedly said that this kind of Jonathan's proposed dialogue can never be taken as the sovereign type, where stakeholders and opinion leaders in the country have to sit together, to iron out their woes; instead, a few of their disgruntled agents in the National Assembly are already doing the work? Notwithstanding, Nigerians have to have the depth of the formation of the country called Nigeria today, before entering into any dialogue. The negotiation has to be that power has to come to the people and the centre, which controls even the issuance of driver's license, is weakened. And the existing political zones instituted in favour of the country's politics have to be decentralised for the formation regional government that would oversee people-oriented ideologies come to play. With the devolution of the old eastern region and the politics of state creation, where the South-East has five state as against the six states or more that other political states enjoy, is one of the undoing of the Nigerian Government in its divide and rule way of dealing with any tribes in the country. The country might not have had a transparent conference in the past, but it is obvious that the government has been having conferences against Ndigbo, as the political equation above suggested, without the government addressing justice in the country as they relate to economic, social, political and the most important ones – cultural and religious justices. In earnest, the people are supposed to construct a new constitutional frame-work in the country, but the government at the centre creates policies that make people thrive in its caprices and whims, and not in the growth of the individuals. To buttress this point, the government proud that its reserved account is fat, when the individuals are very poor; what is the cause of this is that the government has not allowed the people the willpower to develop, but, rather, to follow the government at its dictates. It is not a good idea that the government continues to export raw materials abroad, when it could have refined it in the country to create job opportunities for the citizens and regain their sovereign. Professor Ebere Onwudiwe, a political scientist and economist, who has taught at various universities in the USA., in an interview with Vincent Kalu, Saturday Sun, Sep. 7, 2013, said inter alia: “We have the best grade crude oil for refining in the world, the Bonny Light, which is so easily refined that many countries buy it to help refine their own bad crude that is very hard to refine. We can see that the Federal Government continues to boast of being rich, whereas frustration it creates among Nigerians in terms of poverty, absence of consolidated human development and co are alarming, with shock of corruption that has become the trademark of those that run the government. In the absence of sovereignty to the people by the Federal Government, the peoples of the country enjoy tribalism, which was the result-effect of disuniting people in their regions and creating of states; like Rivers State was created out of the old Eastern region in 1967, just to weaken the sovereignty of Biafrans, who took up arms to defend their lives, from being extirpated from the surface of the earth, by the rapacious military government of Yakubu Gowon. There is no how the peoples of Nigeria can rebuild the foundation again, when the Federal Government is the one playing the ostrich, destroying love, integrity and respect for one another, with lucre of power and chicaneries to projects. 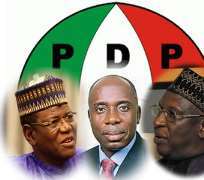 The peoples will never enjoy Nigeria, because the government is not reliable with sacrificial leadership. Perhaps, these are happening in the country, because of what the Governor General of Nigeria between 1920 – 31 , Sir Hugh Clifford, described Nigeria as. Clifford said that Nigeria is “a collection of independent Native States, separated from one another by great distances, by differences of history and traditions and by ethnological, racial, tribal, political, social and religious barriers.” (Nigeria Council Debate. Lagos, 1920). This description, perhaps, again, compelled (then) Lt. Col. Gowon on November 30, 1966 to fire an Ad Hoc Constitutional Conference. It is very imperative that the different peoples of the country are given their sovereignty while Nigeria remains one, because before the amalgamation of the country in 1914 by the cheap-wealth-seeking European colonialists, the people in this amalgam were controlling their different fates in their different kingdoms. But since these ethnic combinations, the government has been self-centered, bigoted and troublesome to the fate of the collective Nigeria. To make this point home, the now late Dr Ramsome-Kuti, as the former Director of the Centre for Constitutional Governance, substantiated this fact, according to a file by a group regarded as Niger Delta Congress. The human rights activist, Dr. Ramsome-Kuti, said: “Long before 1914, when Nigeria was amalgamated, the present space was not a void. People, empires and modes of production existed. “The far North was ruled by Hausa Habes, which was the home of many tribes, Hausa Magajiya, Abyssinian or of coptic stock. From 900 to 1500 AD. The Hausaland was besieged by political forces from Bornu, the Berbes, Tuyaregs and Arabs. The most formidable was the 1804 Jihad which swept the Habeland, imposed an oligarchy, seized the people and the land until the advent of British rule. “The Yorubaland had the Oyo empire, which triumphed until about 200 years ago, we also have the Bachama, Birom, Angas, Tiv, Kaje, Nupe, Ijaw, Igbo and numerous others. The merging of the Southern and Northern protectorates in 1914 was accidental so also was the name, Nigeria given to its people. “It is important to say that British rule was not forged on negotiations with Nigerians, but negotiations with ethnic nationalities. So also there was no “Nigerian position,” but ethnic nationality positions. Now, those concerned have to read cautiously the diverse positions of nationalities at the conference to enable an emancipation of their sovereigns. To get it right at the conference, the government must allow the notion that Nigeria has never been a country of a people with one ideology, culture and tradition. And this is why the Federal Government is using the two alien religions – Islam and Christianity – as tools to subject Nigerians to its administrative convenience, but to the detriment of the different peoples. The Federal Government polarised these unfamiliar religions in two zones – Islam for the north and, Christianity for the South, as a way to unite the peoples. But upon all that, the cultural, religious, social, and linguistic differences of the tribes continue to show that the peoples need their sovereign ideologies to sooth their vitality as tribes. To get this conference right, the Federal Government must eschew deceitfulness, fraud, egocentricity and self-centeredness, so that the many grievances and accusations on each other in Nigeria, would be expelled into annihilation.